For a few months I’ve been thinking of starting a workshop series on the influence and legacy of different forms of romanticism around the world. Each workshop would have a day or half day of short papers on a variety of topics, authors and works. The workshops would be accessible to a non-specialist audience. 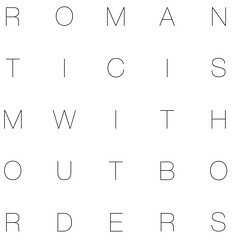 I’ve started planning this, with the working title “Romanticism Without Borders”. Below is a tentative sketch about the idea. If you’re interested in finding out more or in being kept in the loop, please add your details here. Romanticism Without Borders is an international, interdisciplinary series of workshops about the influence and legacy of different forms of romanticism around the world, across national borders, across genres. The first events will be held in Berlin, London, and New York City. History of the use of terms such as ‘romanticism’ or ‘romantisch’, attempts to define romanticism, the development of the romantic canon. Reception and influence of romantic authors and works in different countries – e.g. reception of Coleridge in Germany or Novalis in Britain. History of translations and editions of romantic works, as well as reviews, anthologies, and critical or historical texts in countries around the world. The role of scholars, critics, writers and others who have helped to translate, introduce of promote romantic authors or works in countries and languages around the world. Influence of romantic authors and works on figures not traditionally associated with romanticism – e.g. Ralph Waldo Emerson, Friedrich Nietzsche, Walter Benjamin. How romantic works have affected or shaped different genres and media, e.g. photography, film, theatre. How romantic works and ideas have shaped theory or practise in other fields and disciplines – e.g. ecology, law, psychiatry. This entry was posted in art, conferences, history, philosophy, projects. Bookmark the permalink. Comments are closed, but you can leave a trackback: Trackback URL.